Question: Do self-published authors really need a book trailer? Honestly? Probably not, but then you’d miss out on all the fun! While their novelty may have worn off in recent times, book trailers are still a fun way to catch peoples’ attention. Whether or not they translate into direct sales remains to be seen, so it’s probably wise to save your pennies for things like professional cover designers and editors. But with a little thought and creativity, you can create a trailer that will offer an extra promotional tool for your book. Being a self-publisher, you soon get used to the fact that you have to do pretty much everything yourself. This can have varying degrees of success, depending on your skill set, but if like me you thrive on finding out how to do stuff on your own, then read on! After extensive research on the subject (by which I mean a quick search on Google) I discovered that there are two types of trailer. The first is similar in tone to the movie trailers we are all familiar with. You get the idea – it’s basically the hard sell. These trailers introduce the genre of the book and give a brief summary of the plot. Those of us on a lower budget could opt for stills, which can be very effective if used in the right way. But frankly, I think these type of trailers require a professional’s touch – otherwise they can end up looking cheap and doing your promotion more harm than good. The other type of trailer is more of a soft sell and something all the PR gurus tell us to adhere to when it comes to social media. (i.e. Stop shouting ‘Buy My Book’ to every passing Tweep). Rather than focusing on the book itself, you can create a trailer that allows you, as an author, to connect directly with the reader. A good example of this is Maria Semple’s trailer for ‘Where’d You Go Bernadette’. It’s really quite clever, because, even though she is constantly referring to her book, we don’t feel as though she is begging us to buy it. In fact, she shows us just how hard it is to sell a book these days and with a bit of humour and self-deprecation, we end up identifying with her on a personal level. 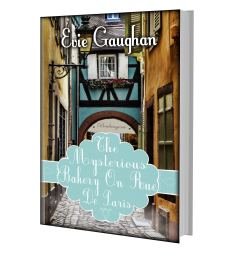 So when it came to producing a trailer for my second novel, The Mysterious Bakery On Rue De Paris, I decided to put myself in front of the camera. 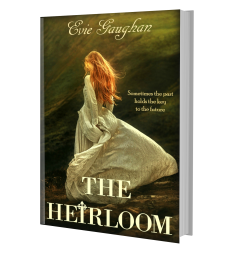 I must admit that I was a bit nervous at the prospect and so I decided to ‘hire’ two professionals – my nieces, Charlotte and Eabha. It all went downhill from there! Several jokes were harmed during the making of this video – what can I say? I’ll never make it in stand up!! 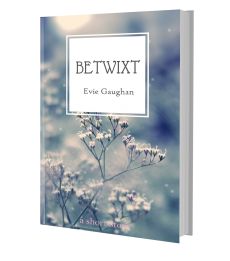 There was a script; as in I told them to ask me questions about writing, self-publishing and my upcoming novel, but thankfully Charlotte decided to rogue and the result was a trailer that had nothing to do with the book! While I don’t think Scorsese has anything to worry about just yet, I was quite pleased with the results. And the best part is, I was able to edit the entire thing on Movie Maker. It’s a foolproof way to add text and music (by the enchanting Amiina) and lots of other features to make your video unique. The only limit is your imagination. I think the main thing to remember is to keep it brief. I often use the expression, ‘When you’re explaining, you’re losing’, so think of it as a blurb and don’t bombard your audience with information. That looked such fun and made me smile. Every time someone asks me what my book is about I clam up, blush and mutter nonsense. I wouldn’t have a clue how to do a book trailer, but you’ve certainly got me thinking about it.